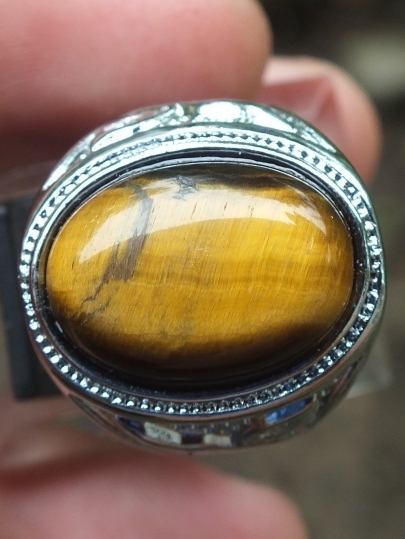 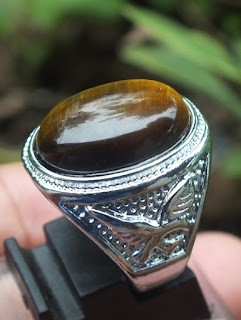 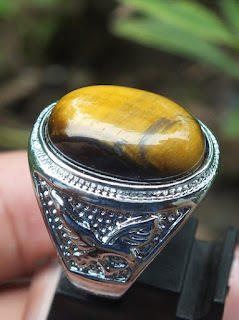 This is a very good Natural Tiger's Eye. 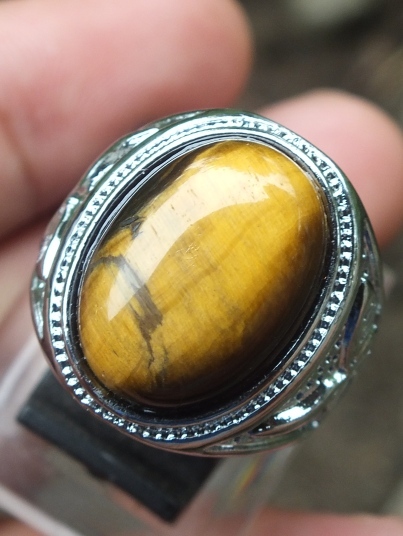 The size of the gems (est. 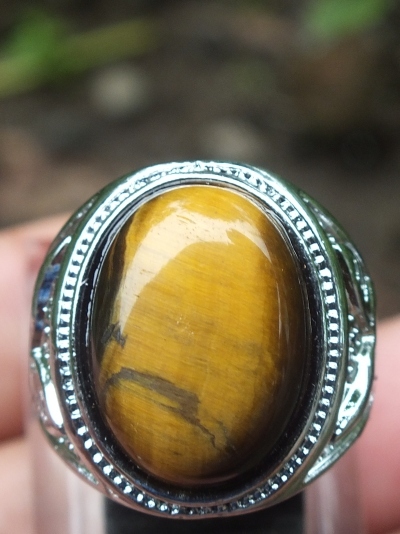 mounted on the ring) is 18 mm x 13 mm x 5 mm. It is already set on a good 19,5mm plated brass ring.